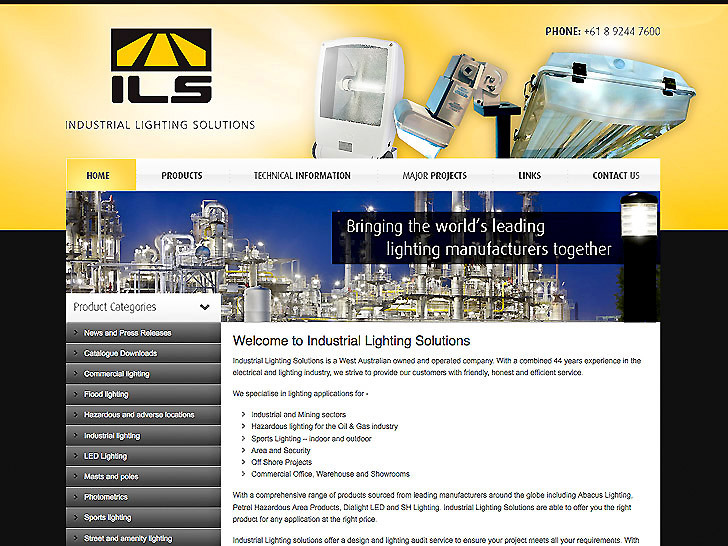 Industrial Lighting Solutions is a West Australian owned and operated company highly experienced in the electrical and lighting industry. 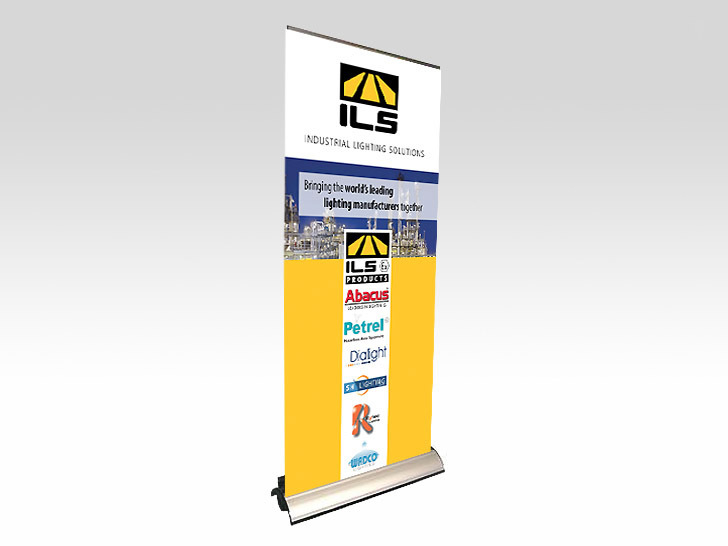 We are responsible for designing and producing all their marketing material including signage, exhibition stands, print management and website. 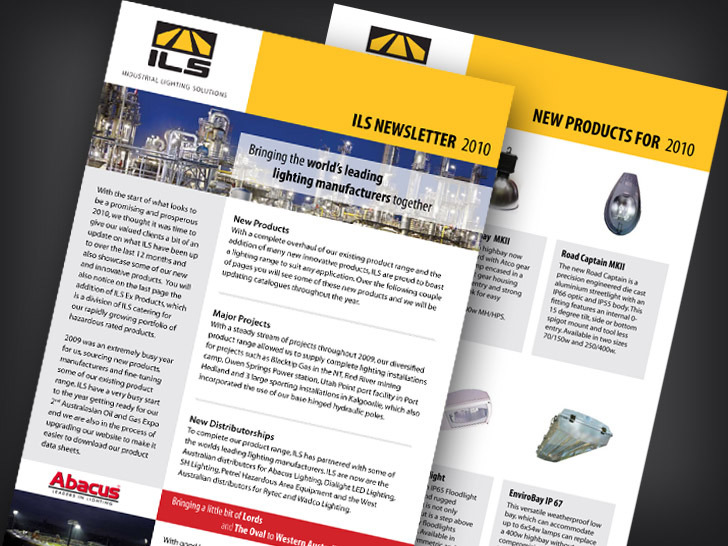 Industrial Lighting Solutions engaged Nice Design to help increase and strengthen the ILS brand. This included a complete overhaul of our website, data sheets, stationary & business cards and promotional/expo material. We found Nice Design to be very efficient and easy to deal with. With simple guidelines and instructions, we left them to their creativeness and have been more than happy with the results. So far our new website has given us enormous exposure with daily enquiries coming in from all round the world. 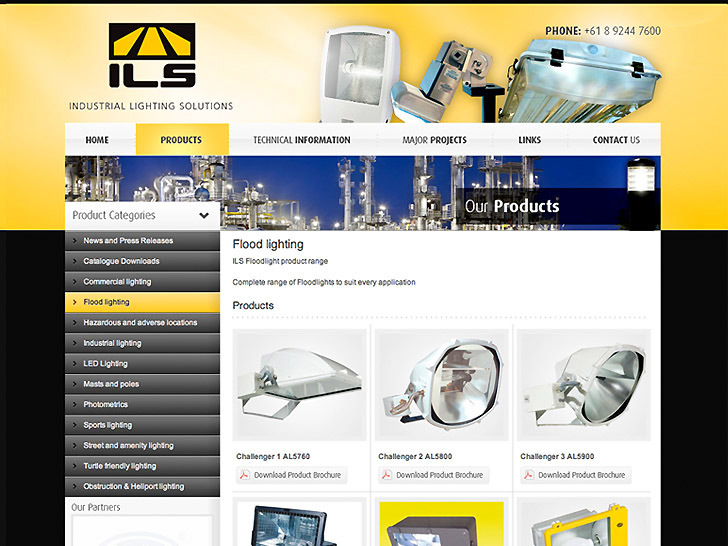 We have also made many changes to our website since it was launched and the after sales service has been exceptional. I have been recommending Nice design to all our business associates and will continue to do so.